The more bugs found, the better ops runs. Appvance IQ creates 1K times more scripts than standard. Appvance IQ can run each script through functional, performance and security tests, tripling the advantage. 1Kx the scripts times 3 = 3Kx more tests than other systems. 3Kx more tests = much better quality. Much better quality = less production downtime. Automatically create and run tests for op-faults. AI scripting creates test cases from production logs. 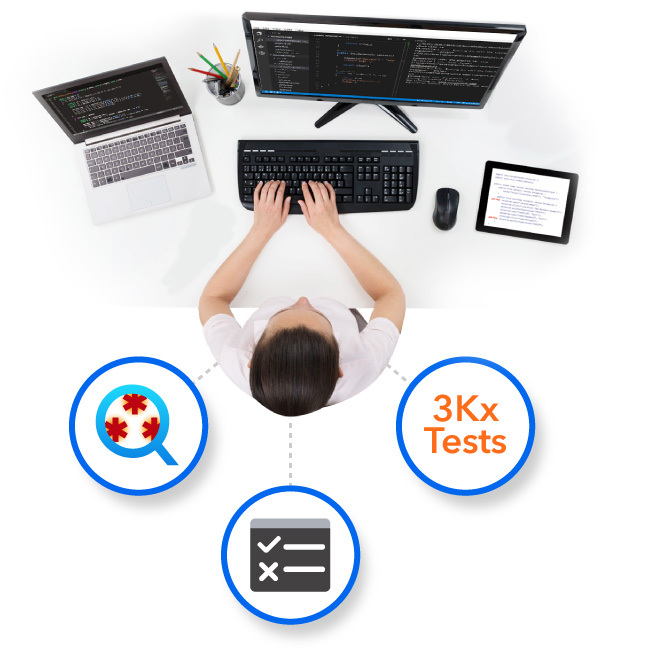 This auto-creates tests for every operational fault logged. Testing for every logged op-fault drives peak quality.